Attached is a passage from John Steinbeck’s book Travels with Charley: In Search of America. 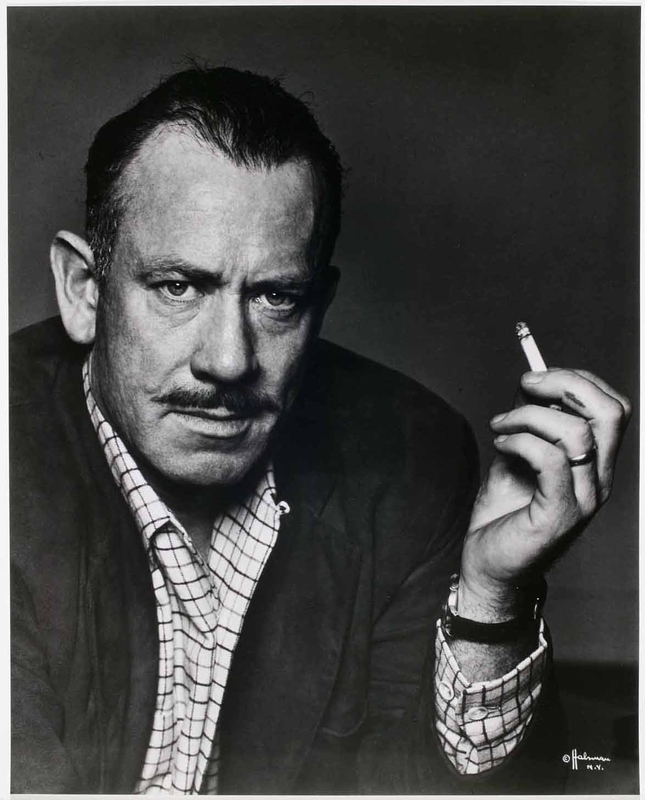 In 1960, Steinbeck took a 3-month long road trip to discover what it is to be American, get a feel for the essence of the country–something like that. The part attached is pertinent to your current endeavors, and I think you’ll get a kick out of his assessment. My brother knows me well, because I did get a kick out of Steinbeck’s assessment. 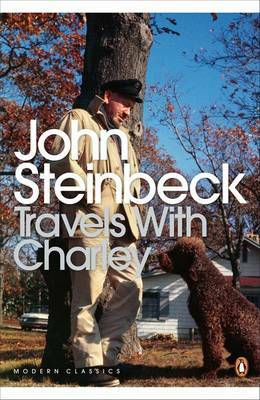 I also got a kick out of the fact that Steinbeck traversed the countryside with his poodle (hence the name Travels with Charley). I have an affinity for poodles. The favorite dog of my life was a black toy poodle named Pepper. If he was still with us, I would take him on an epic road trip and most definitely devote many blog posts to his curly cuteness. But back to Steinbeck. In the eating places along the roads the food has been clean, tasteless, colorless, and of a complete sameness. It is almost as though the customers had no interest in what they ate as long as it had no character to embarrass them. This is true of all but the breakfasts, which are uniformly wonderful if you stick to bacon and eggs and pan-fried potatoes. At the roadsides I never had a really good dinner or a really bad breakfast. The bacon or sausage was good and packaged at the factory, the eggs fresh or kept fresh by refrigeration, and refrigeration was universal. I might even say roadside America is the paradise of breakfast except for one thing. Now and then I would see a sign that said “home-made sausage” or “home-smoked bacon and hams” or “new-laid eggs” and I would stop and lay in supplies. Then, cooking my own breakfast and making my own coffee, I found that the difference was instantly apparent. A freshly laid egg does not taste remotely like the pale, battery-produced refrigerated egg. The sausage would be sweet and sharp and pungent with spices, and my coffee a wine-dark happiness. Can I then say that the America I saw put cleanliness first, at the expense of taste? And–since all our preceptive nerve trunks including that of taste are not only perfectible but also capable of trauma–that the sense of taste tends to disappear and that strong, pungent, or exotic flavors arouse suspicion and dislike and so are eliminated? …If this people has so atrophied its taste buds as to find tasteless food not only acceptable but desirable, what of the emotional life of the nation? I need to mention that although Steinbeck was a brilliant and thoughtful man, he was by no means an environmentalist. In the book, he boasts about cooking with aluminum pans and then tossing them off his boat into the water (easier than cleaning up, I guess). So while Steinbeck is only making an observation based on his own taste buds, he foreshadows a bigger problem–the industrialization of food. It’s like the time my mother said, “Wow. This organic chicken is what chicken used to taste like when I was a kid.” So what happened to our taste buds? And like Steinbeck asks, do our nation’s food choices have anything to do with our emotional state? When questions like these are asked, the usual next step is finding someone to blame. I’m taking a different approach. While I do have more questions than answers, I know one thing for sure: local food tastes better than any packaged or transported item I can get at the grocery store (remember my “eggsperiment”?). So I plan to search for answers by taking a page from Steinbeck’s book and finding, eating, and enjoying (without embarrassment) local, non-industrialized food. He is a fine man who can look surly and dapper at the same time. Joe and I should hook up and make one fine man. Hey, nice new header BTW. I’ve posted a new one, too. Haha! I know for a fact that Joe does surly too, so you’d have to grow a mustache to even things out. I noticed your header when I read your tempura post. You daughter’s a beauty btw, and I absolutely love her name. Me me me! This is SO awesome. I haven’t read this book, so thanks to your bro for sharing it with both of us! I have huge, slightly creepy theories about food and suspect it’s 95% responsible for most of the problems people have. Of course I just had Doritos for lunch, but…c’mon. Doritos. LOL I went all organic one summer, though, and as soon as I stopped, I got a bad cold (coincidence? Maybe, maybe not!). I can’t wait to hear about the local foods you try. Whenever they’re available, we buy eggs from (the most gorgeous chickens ya’d ever want to see!) just down the street, and the difference is amazing. The yolks are almost orange, as opposed to yellow. Peppermeister’s garden is all organic, and he tries to get most produce (that he doesn’t grow) from the farm stands in this area. I completely agree with your food conspiracy theory. I don’t think it’s a coincidence that childhood obesity rates are so high given the fact that Geneticallly Modified foods hit grocery store shelves in 1994 (but that’s a different post). My garden hasn’t fared so well this summer. Maybe I need some tips from Peppermeister. This is a great post and something that Yes!Chef! And I talk about all the time…what happened to people’s taste buds? Most people think my husband is some kind of culinary genius because they just aren’t used to meals made with fresh ingredients rather than packaged or otherwise processed food. This is why I love farmers markets. Anyway, you’ve given me much to think about. Thanks, Karen! Simple meals made with the best, freshest ingredients always impress people. I saw Yes! Chef’s! pulled pork recipe, so I think he may be a bit of a culinary genius. I can’t wait to try it. JS is prob the greatest American writer in history and all he does is inspire you to question the world around you. Thanks for this post. I agree. Grapes of Wrath changed the way I think about a lot of things. He’s an American icon for sure. I’m with ya!! Loved this post.